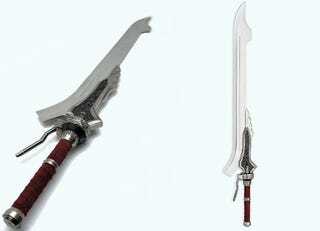 Capcom US's online store is selling this Devil May Cry 4 Red Queen sword. It's 42 inches long with a red leather-wrapped grip and a stainless steel blade. Each sword has its own serial number and can cut you. Comes with a hanging plaque. Yours for US$229.95.